So what is Explaindio really? Explaindio is an ‘online animation software’ that makes it easy to create 2D and 3D videos. It includes 2D and 3D animations, Explainer video templates you can customize, Doodle Sketch videos, and motion video capability. All of this combines to enhance your visitors website experience. What’s probably most impressive about Explaindio though is just how easy it is to operate. This is a flexible, easy to use animation software that takes minutes to learn but produces visual productions that to the untrained eye look crafted by a highly trained expert. a library of pre-animated scenes that can easily be implemented into the video in a few clicks. a flexible timeline editor so you get full control over the video. Combine this with the fact it’s actually cheaper than some of its counterparts in the online software animation space and there is no doubt Explaindio companion to Vidello’s popular hosting service. SO why now? Explaindio is on the brink of it’s forth launch so what took so long? Well both software have been growing year on year and it’s got to the stage that it would be weird if we didn’t integrate. Many of our users both use Vidello and Explaindio so it just makes sense. In order to cut the time needed to export, find, upload and finalise your Explaindio videos and host them with Vidello. Explaindio being a user of ‘Vidello’ themselves got in touch with us and suggested we create a better way for their users than the old way. 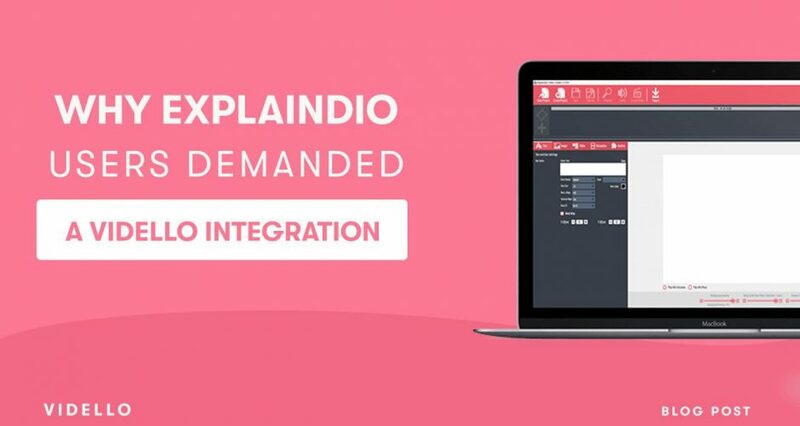 So we sent them the information they requested and now when you login to your Expaindio dashboard, create your Explaindio video. Instead of publishing, then exporting then downloading, then uploading. 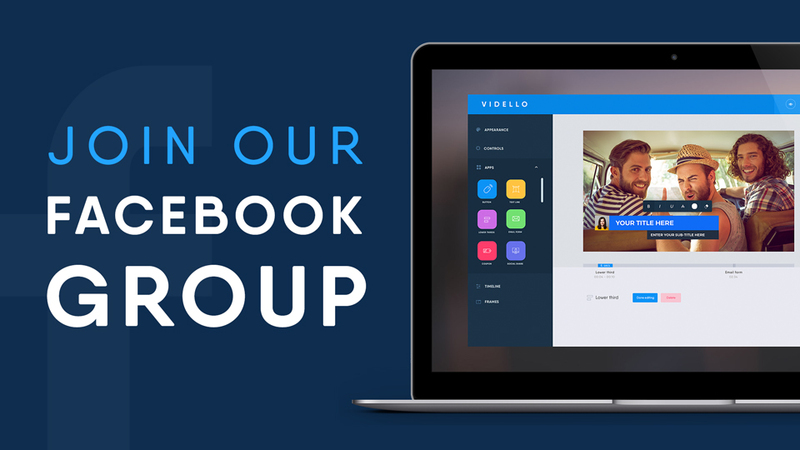 All you have to do is click ‘Send To Vidello’ and your Explaindio video will be automatically added to your Vidello account. Check the tutorial here. If you’re a Vidello user and you’ve heard about Explaindio or alternatively if you’re already a user of Explaindio. Now when you get access today you’ll be able to use the two software together. This hopefully will help to save you some time and help you to showcase some incredible videos you create. 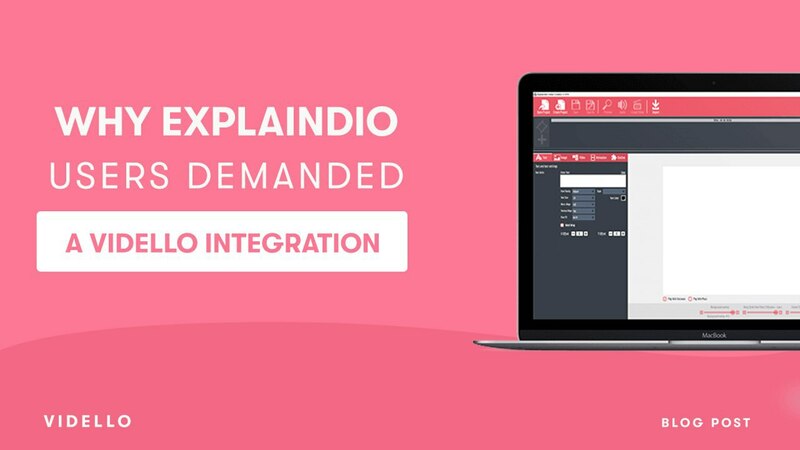 If you’re not yet an Explaindio user but you enjoy the many benefits that come with using Vidello – you can take a closer look at Expaindio and the many benefits it offers here now.